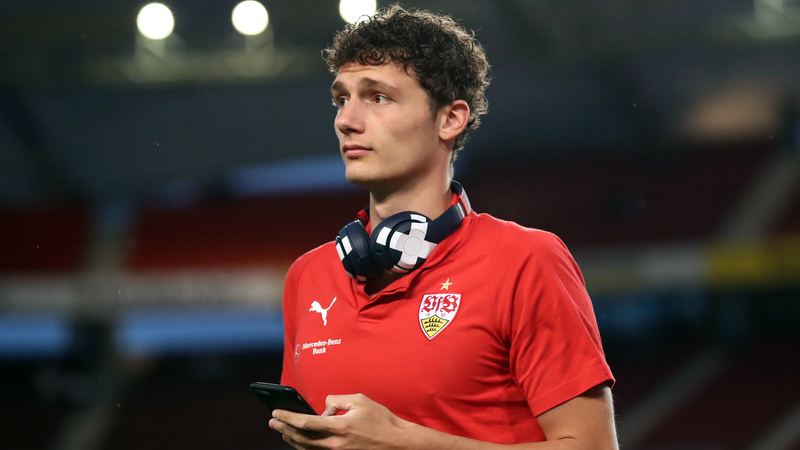 Benjamin Pavard has denied he has already struck a deal to join Bayern Munich from Stuttgart at the end of the season. The France international has long been linked with the Bundesliga champions and some reports have claimed an agreement over a transfer is already in place. However, the 22-year-old insists his future remains far from certain. "I've not signed anything with Bayern," Pavard told Le Parisien. "The interest of such a club makes me happy, but I'm focused on Stuttgart today. I don't think about next summer." Pavard was one of France's standout performers at the World Cup as they claimed the trophy following a 4-2 win over Croatia in the final in Moscow. Luka Modric pipped the likes of Antoine Griezmann and Kylian Mbappe to the Ballon d'Or for 2018, though, which Pavard thinks is a little unjust. "I'd have liked a Frenchman to win it," he said. "Players like Raphael Varane, who's the only one to have won the World Cup and the Champions League in the same year, or Antoine Griezmann had a great year. They would have deserved it." Pavard says his own stock among fans in his homeland has increased significantly since his performances in Russia. "In France, and especially Paris, I can't take the metro. I have to put my hood up. But it's a fame I live with well," he added. "When I was little, I wanted to become a professional player. Now I've done it, I want to win trophies. I have already won the most beautiful trophy. I hope there will be others. In any case, I won't complain about being recognised."